The two redistricting scenarios presented to the school board on October 23, 2013, will move considerably more elementary students than the redistricting scenario presented last year. 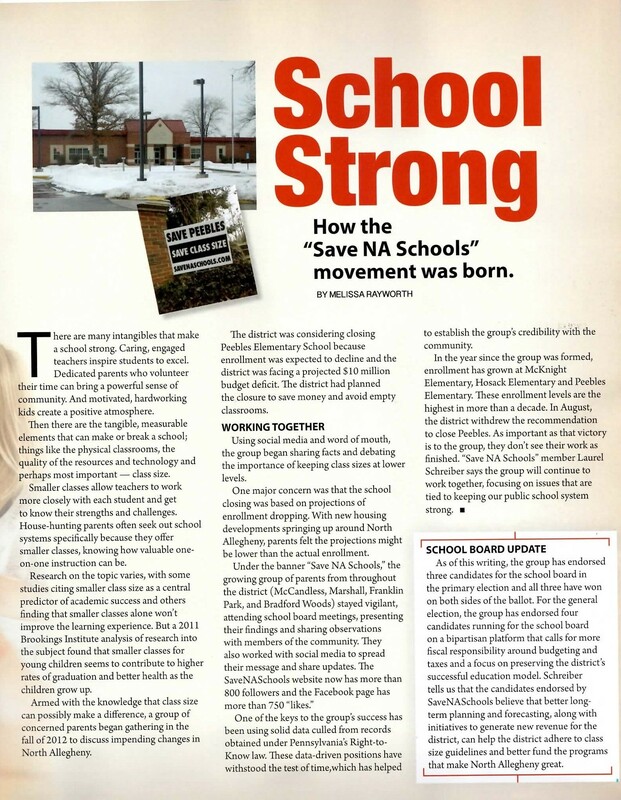 On November 14, 2012, the administration presented a redistricting scenario that only moved 264 elementary students if Peebles Elementary remained open. The same presentation showed 500-600 elementary students would be moved if Peebles Elementary were to close. Now the administration is proposing two scenarios that would redistrict 400 or more elementary students, despite the fact Peebles Elementary will remain open. 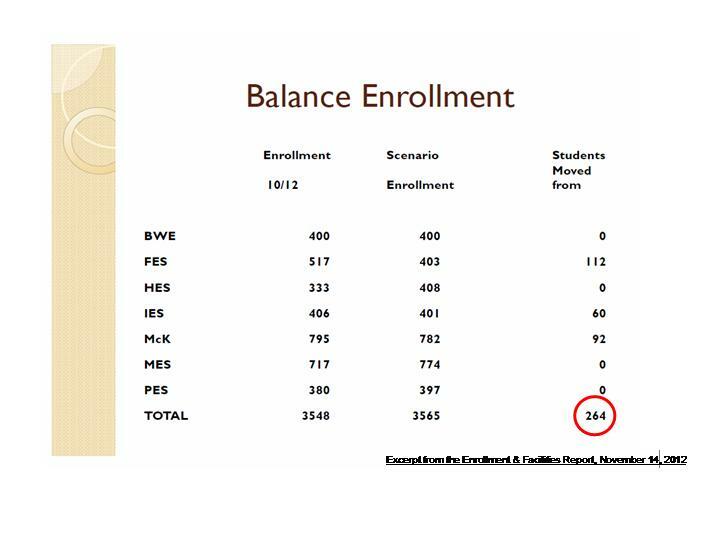 The October 23, 2013 presentation does not account for the number of middle schools students who would be impacted. These inconsistencies illustrate the need for more transparency surrounding the redistricting process. 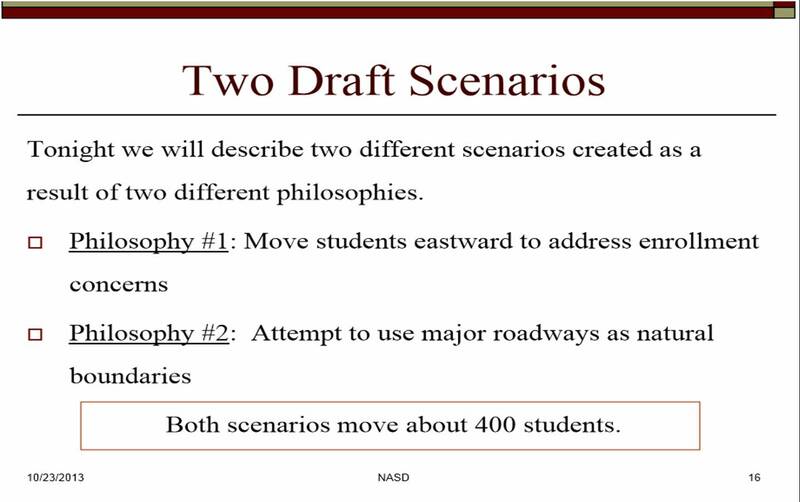 The administration has not released maps, enrollment projections, or other details upon which these scenarios are based. The administration’s October 23, 2013 redistricting presentation may be viewed here. The candidates endorsed by SaveNASchools are running on a platform for more transparency and more community involvement in the board’s decision-making processes. Please visit www.movenaforward.com to learn more. Note: It’s extremely important that NA residents are aware of the special election for a 2-year board seat. The redistricting plan will be voted on by the new school board and Kevin Mahler is a strong advocate for the community.